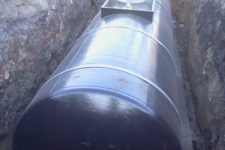 The base material steel S235JR. 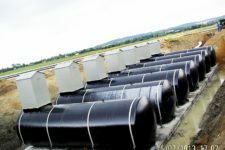 The outer surface corrosion-resistant to puncture 14kV. 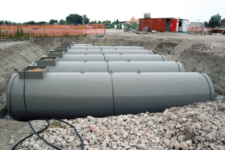 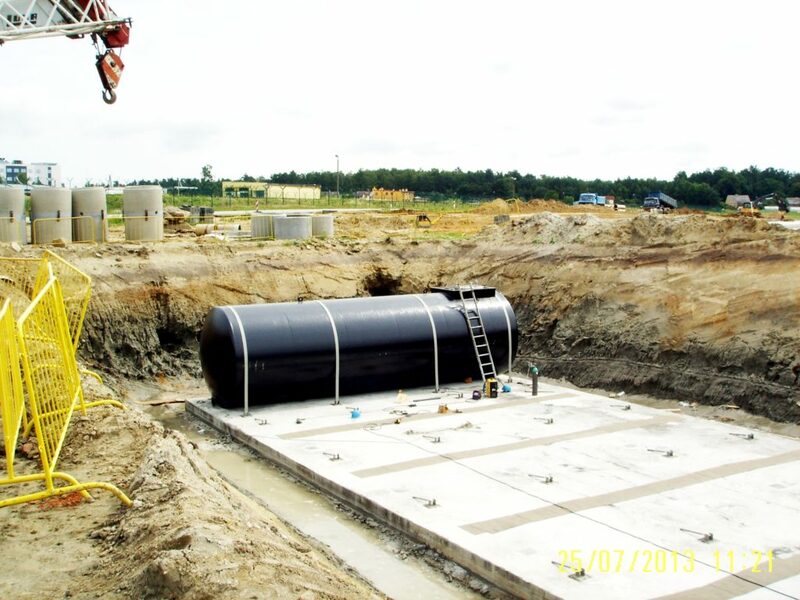 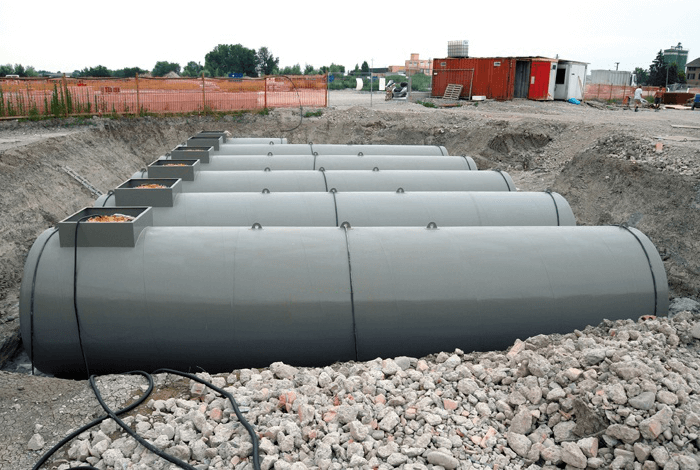 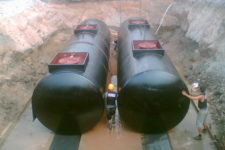 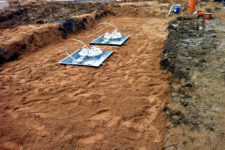 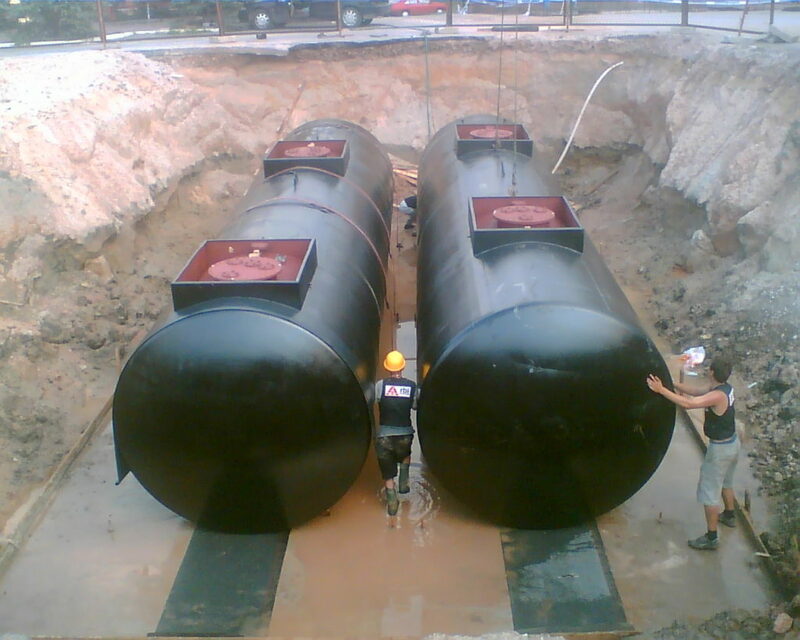 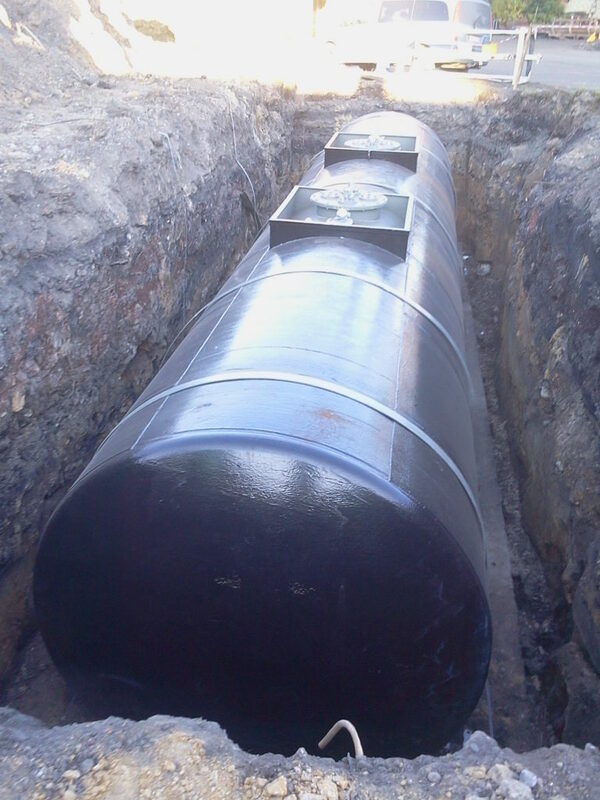 Double wall underground tanks – are intended for the storage and distribution of flammable liquids such as gasoline, oil. 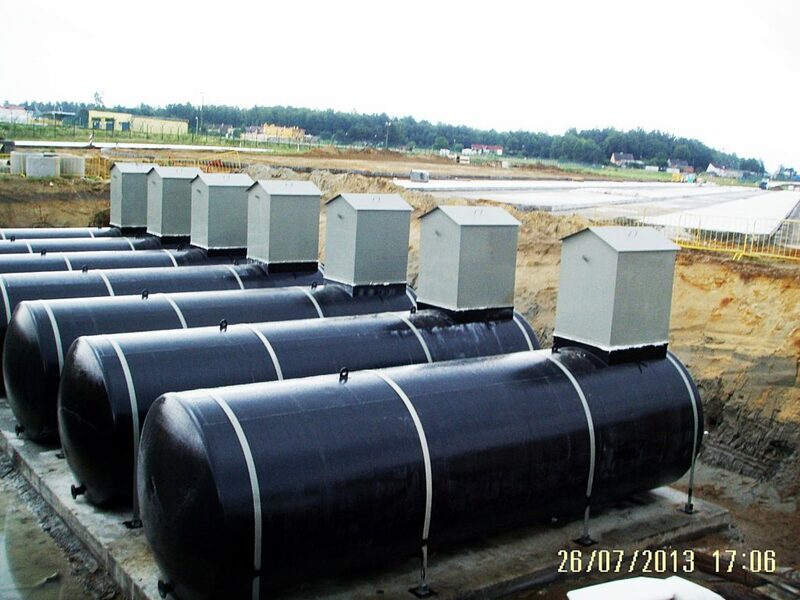 These tanks are made in accordance with the technical documentation approved by the Technical Supervision Office in Gliwice branch they are approved by the Central Office of Measures and meet all standards ii regulations in force in our country. 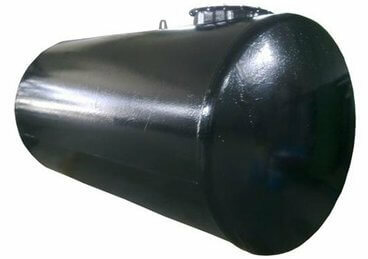 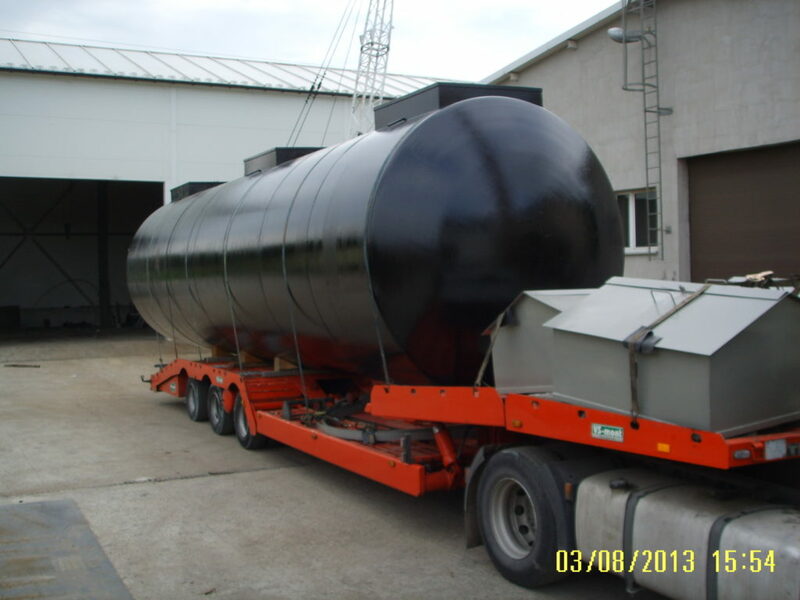 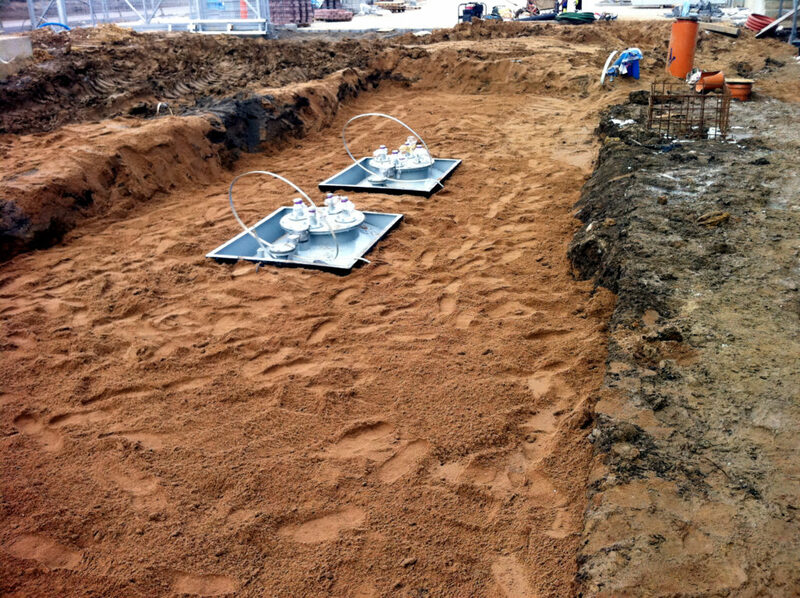 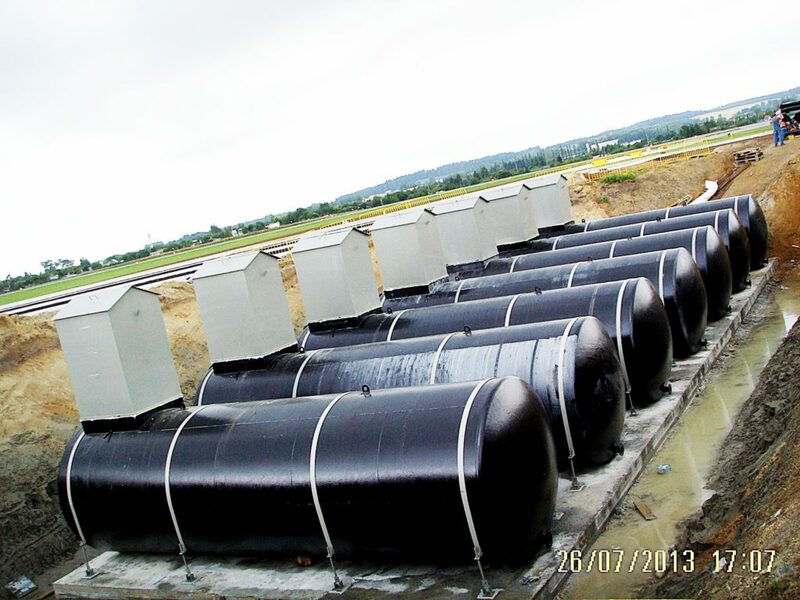 Underground tanks are manufactured in various sizes depending on the customer’s needs from 5 m3 to 100 m3. 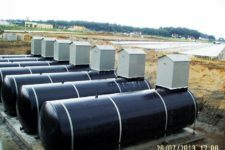 They are made in three model series having a diameter of 2000 mm, 2500 mm, 2900 mm, can also be present in the version of two, three or four chamber. 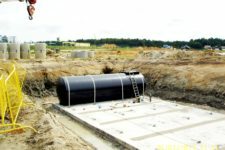 Bodies have a standard construction with a so-called. 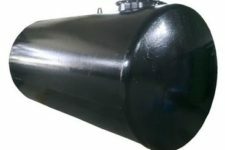 the dry control system leakage can also be adapted to signal the control system in the wet seal.